If you ask Mike Stretch why he works in the HVAC industry, he’ll immediately reply that his passion is to ensure everyone in the community is comfortable. 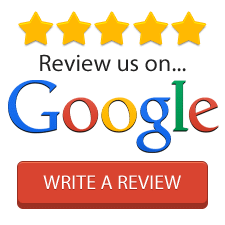 Since heating and cooling plays a pivotal role in securing that comfort, he’s dedicated his life to making sure every customer who contacts him for an HVAC service is happy in their home because their space-conditioning system operates properly. When most of his fellow teenagers were utilizing their time on the usual extracurricular activities, 17-year-old Mike was devoting his time to working with commercial heating and cooling systems. After working at a local union for six years and transferring to an HVAC company in South Florida, where he earned a promotion from a service technician to a lead installer, Mike decided it was time to put his expertise to the test and start his own enterprise. X-Stream Mechanical Services was officially born in 2004 as a strictly commercial HVAC company because of Mike’s previous experience working with such systems. After family members, friends and acquaintances kept asking him to take a look at their residential units, Mike decided to expand his business to also include home comfort solutions. Word of mouth has since grown, and Mike and his employees now treat every job as if they’re working on their own home. Mike Stretch’s commitment to both personal and professional excellence started at an early age, and he’s proud to now continue building upon his firm foundation in the HVAC industry by serving customers in Newnan, Georgia, and the surrounding communities. Whether you’re in need of a residential repair or a commercial installation, Mike and his skilled team can complete the job to a high standard. Whether it’s feedback from his employees or comments from his customers, Mike Stretch is a firm believer that the only way to build a community brand is by working as a team. Although he’s in charge of the operation, his door is always open to ensure his company is capable of securing your comfort in the most cost-effective way possible. For professional HVAC service today, call (770) 714-4885.